Donald Trump's lock on the Republican presidential nomination has triggered intense debate over who or what -- other than the man himself -- might be responsible. Yet somehow overlooked among the long list of potential factors is the cast of "Friends." In late 2002, the NBC comedy's six stars agreed to a 10th and final season. That set off a semi-frenzied search for a replacement to anchor the Thursday-night "Must-See TV" lineup before "Friends" formally signed off on May 6, 2004. In addition, "Frasier," another NBC comedy staple, spun off from "Cheers," aired its finale a week later. 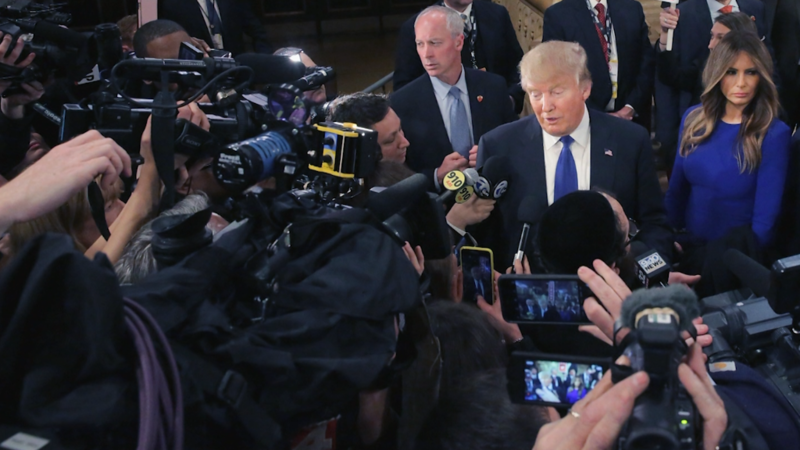 Enter Trump, as host of NBC's fledgling reality-TV hit "The Apprentice." In a risky move, the network scheduled the series on Thursday nights, where it promptly flourished. Quickly, it became the linchpin of the revised schedule, along with plans for a "Friends" spinoff that starred Matt LeBlanc, "Joey." Like so much in television, the "Apprentice" fix proved relatively short-lived. "Joey" turned out to be a disappointment. And ratings for "The Apprentice" gradually cooled, perhaps hastened by the introduction of a second version of the show, hosted by Martha Stewart. By 2007, the series was kept off NBC's fall schedule. It later returned (airing on different nights) and performed reasonably well for years, but as a midseason replacement in the form of the "Celebrity Apprentice," and well off its initial peak. The "Must-See" marketing slogan was retired, and last fall NBC was without a Thursday-night sitcom for the first time since the early 1980s. As noted, attempts to explain Trump's rise -- and in some quarters, apportion blame -- almost can't help but sound simplistic. While fingers have pointed in various directions, it's hard (and likely misleading) to contemplate any of them in a vacuum. 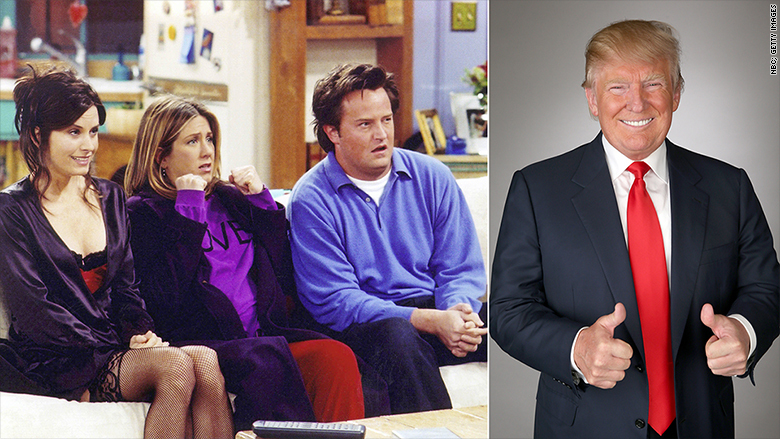 Still, to the extent that the image Trump -- honed and projected via reality television -- helped define him for millions of viewers as a successful and decisive leader, the "Friends" exit played a roundabout role. Had the cast been willing to continue -- instead of walking away from $1 million per episode salaries -- Trump's show might not have blossomed into quite the mega-hit that it became. Because almost nobody predicted it, Trump's intended move from "The Apprentice's" boardroom into an oval-shaped office will be analyzed and debated for years. Yet at the least, the hit comedy and its stars represent another footnote to this unexpected chapter in political and media history.